The US Department of State has announced that Chicago-based Studio Gang Architects has been selected to create a new American embassy compound in Brasilia, the Brazilian capital city designed by planner Lucio Costa and architect Oscar Niemeyer. The firm, led by architect Jeanne Gang, was chosen from a shortlist of six US-based design teams that had advanced to the final round of presentations and interviews. The other finalists were Diller Scofidio + Renfro, Morphosis, Pelli Clarke Pelli, Rafael Viñoly Architects and Steven Holl Architects. "Studio Gang presented a strong and cohesive team approach with more than 20 years of collaborative experience executing projects with complex constraints at challenging sites," said the State Department. The multi-building campus will be situated on a 4.8-hectare site within Brasilia's diplomatic zone, near the seat of the Brazilian government. The designated site currently contains a two-storey structure designed by HDR and built in the 1970s. Plans for the site are still to be determined. "As the architect has just been selected, plans for the compound have not been solidified yet, but will be evaluated as part of the project," said a State Department spokeswoman. Studio Gang's building will include a chancery, a marine security-guard residence, support facilities, perimeter security and facilities for the embassy community. This is the firm's first embassy project. Brasilia, which is located in central Brazil, has served as the country's federal capital since 1960. It was designed by architect Oscar Niemeyer and urban planner Lucio Costa, and was built between 1956 and 1960. The national government commissioned the project as it wanted to have a more centrally located capital. The coastal city of Rio de Janeiro formerly served as Brazil's capital. Brasilia is divided into numbered blocks and distinct zones, such as the Hotel Sector, Banking Sector and Embassy Sector. 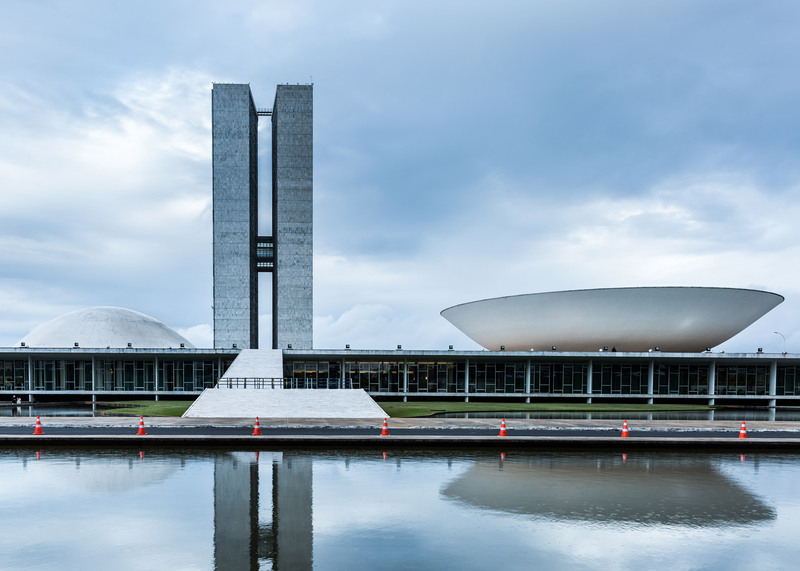 Its distinguishing architecture includes the Cathedral of Brasilia, a hyperboloid structure with white exterior columns that splay upward, and the National Congress building, which comprises a low-slung podium topped with two rectilinear towers and two bowl-shaped structures. UNESCO named Brasilia a World Heritage Site in 1987. The new embassy project will be overseen by the US Bureau of Overseas Buildings Operations, which is part of the State Department. It is the newest commission under the government's "Excellence in Diplomatic Facilities" initiative. Gang was recently named the 2016 Woman Architect of the Year by The Architectural Review's Women In Architecture awards, which also awarded the Jane Drew prize to French architect Odile Decq. Photography courtesy of Shutterstock, unless otherwise stated.